Starburst 426 - Out Now! If there's something strange in your cinema, what magazine are you gonna read to find out if it's worth watching? 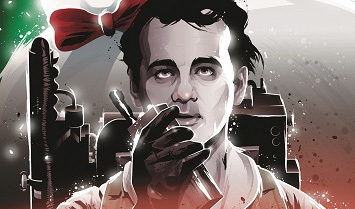 Yes, the latest issue of Starburst is Ghostbusters-themed, full of previews, retrospectives, and gags less laboured than the above. It also features Star Trek, Finding Dory, and The Dark Knight Returns content, and I've contributed a couple of reviews, as well as my usual Doctor Who news column. Starburst 426 is available now in stores or online.